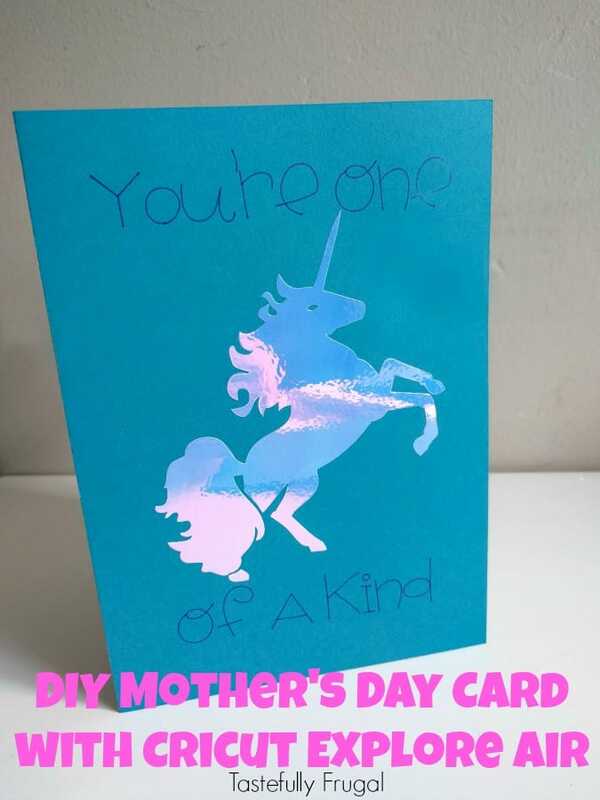 Let mom know how special she is with this unicorn card for Mother’s Day. 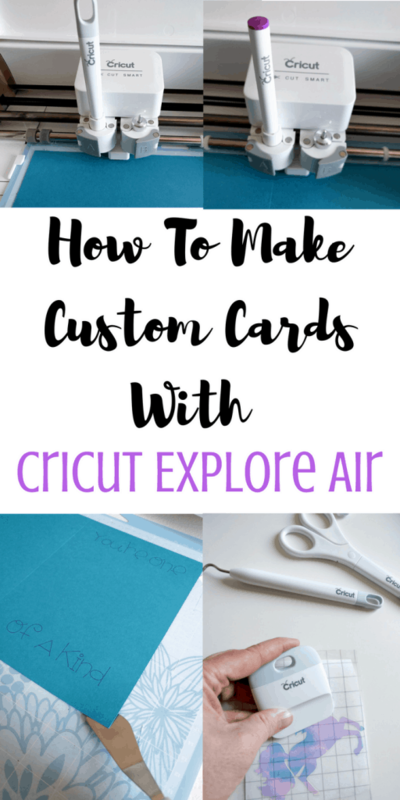 I’ll show you how easy it is to make and how to cut and write at the same time with your Cricut Explore Air. Mother’s Day is this Sunday; can you believe it?! I remember when I was a kid in school our teachers would have us make cards for our moms with our hand prints or cute crafty things on them and I was always excited to give those to my mom. 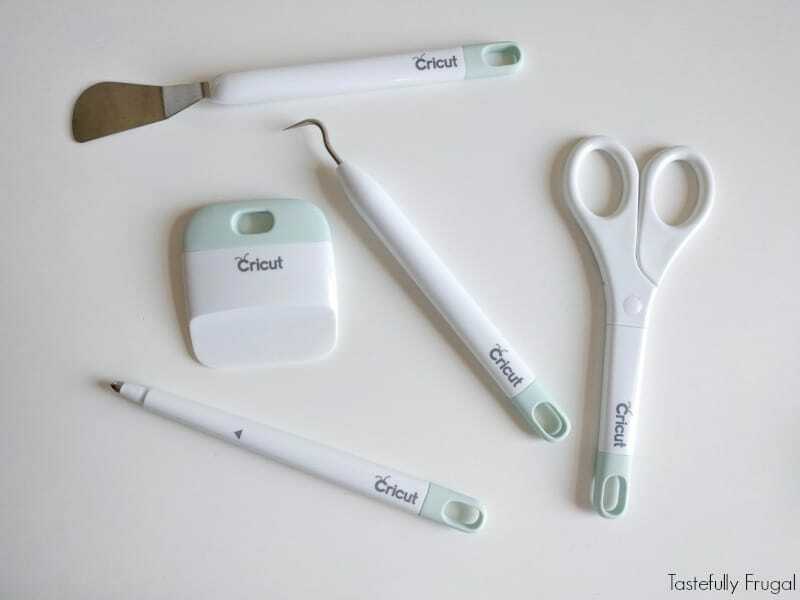 My love for crafty things continues to grow today which is one reason why I love my Cricut Explore Air so much. This year I decided instead of buying my mom a card for Mother’s Day I was going to make her one. Just like I did so many years ago. If you haven’t been on Facebook or Instagram (or any other social media) the past few months unicorns are all the rage these days. That Unicorn Frappucino from Starbucks started the craze and after that unicorns started popping up everywhere. I loved unicorns when I was a kid so I decided to jump on the band wagon too. 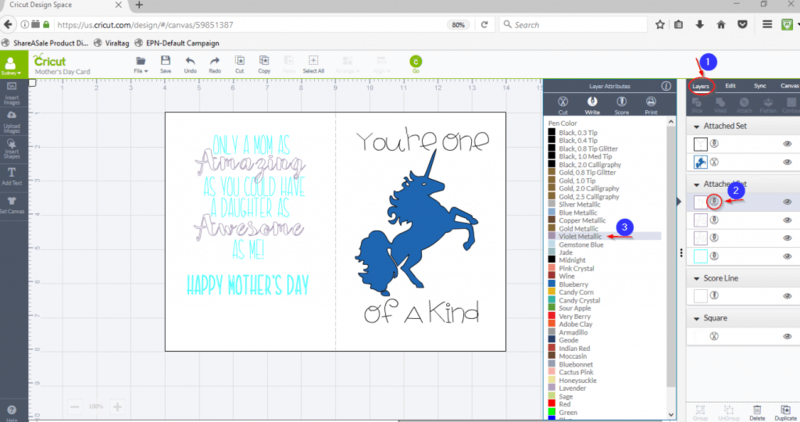 This card is so easy to make in the Cricut Design Space as well as easy to put together using your Cricut Explore Air. 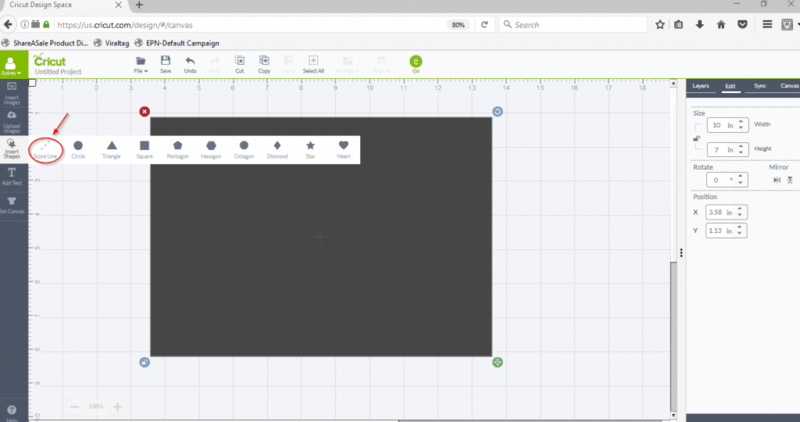 Open your design space and draw a rectangle. 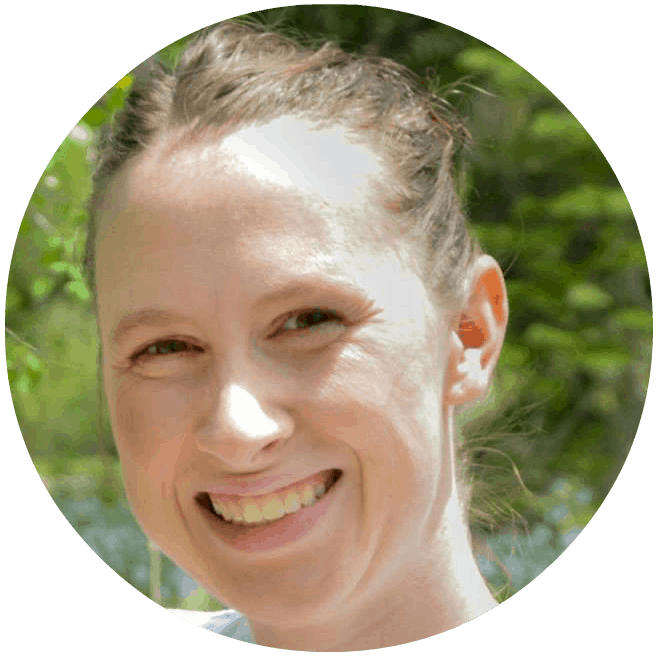 Most cards are 5″x7″ so I made my rectangle 10″x7″ so that when folded it is 5″x7″. Draw a score line down then center of the card vertically. This will make it easier to fold when the card is done. 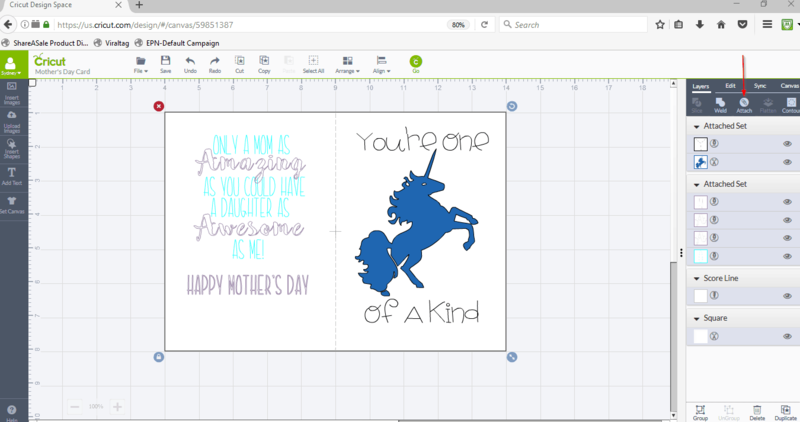 Go to INSERT IMAGES, search for unicorn and add a unicorn to the right side of your card (when it’s folded this will be the front of the card). 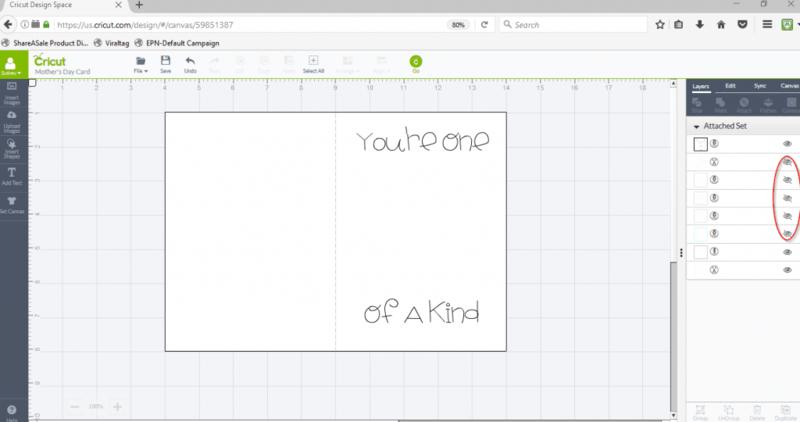 Add text to the front of your card. I chose to put You’re One Of A Kind in ALL MIXED UP font. 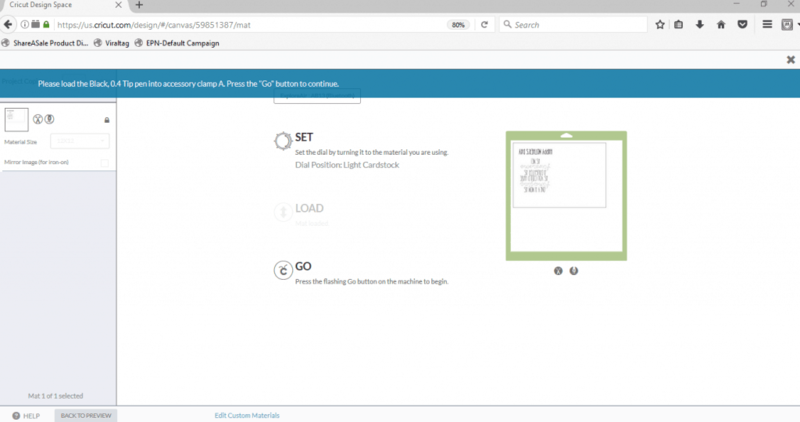 On the left side of your card add text to the inside of your card. I decided to keep this card lighthearted and I thought the wording was fun. The fonts I used are KYDEN and BAKERY for the words Amazing and Awesome. 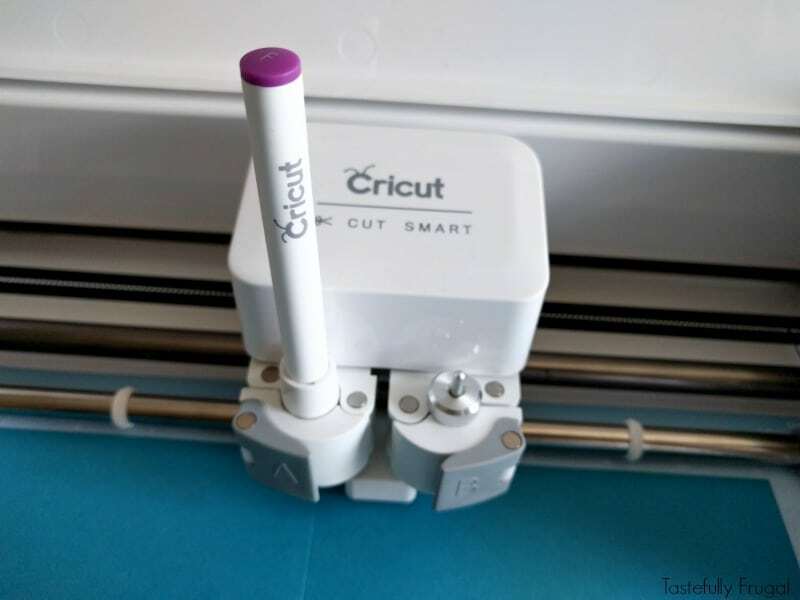 Go back to the LAYERS menu and change all text from cut to write (I’ve found when you are doing text this small a fine .4 point Cricut pen is best). Next you’ll want to attach everything together so that when we send it to cut it will all be together. After everything is attached and placed where you like it’s time to send to write, and cut. You can’t write the front and inside of the card at the same time so you’ll want to mark the inside writing not visible by clicking the eye just to the right of the words in the LAYER menu. We’re also cutting the unicorn out of vinyl so make that invisible too. Make sure the dial on your machine is turned to cardstock and press the green GO to send design to machine. Load the scoring tool into the A clamp next to the blade. 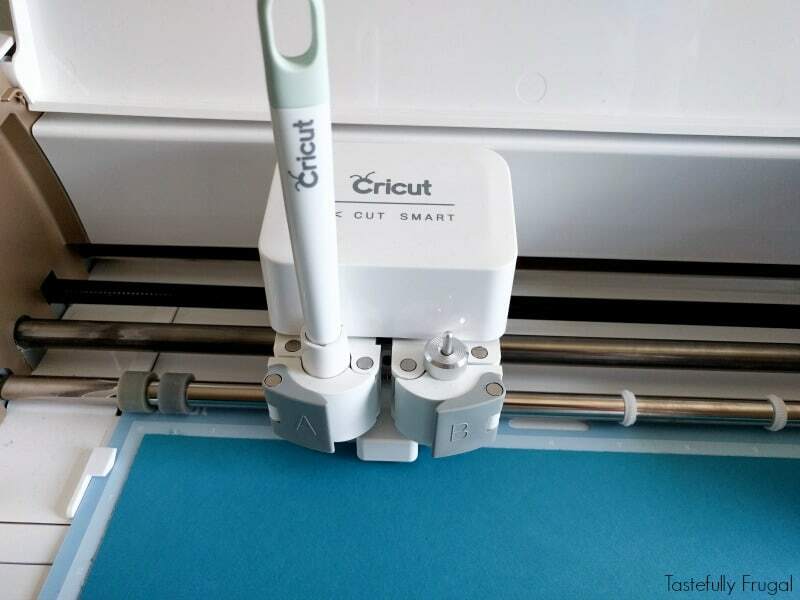 Place a piece of cardtsock on a light grip (blue) cutting mat and load into your machine. After the score line is cut you’ll be prompted to insert your pen into the A clamp. 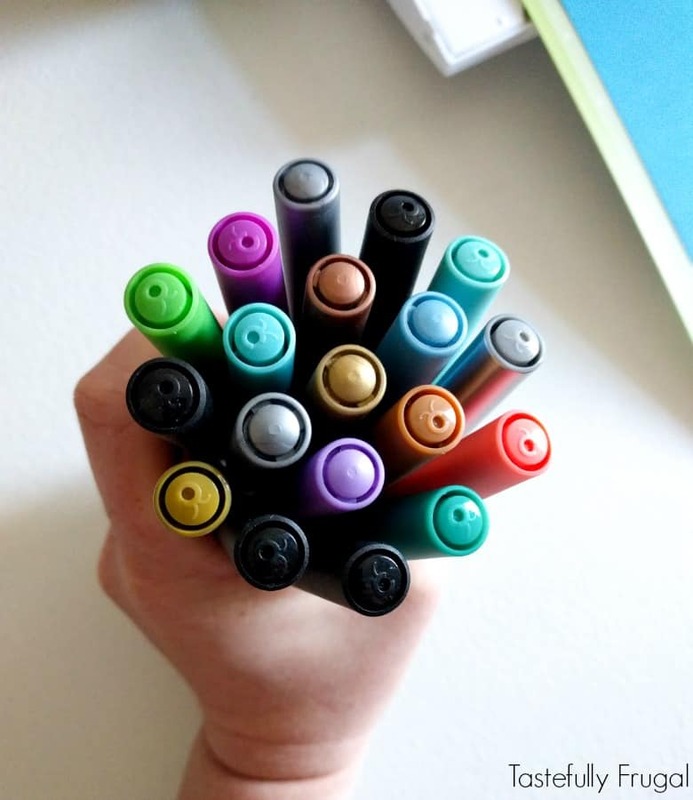 Make sure to press down until you hear a click, that way the pen can make full contact with the paper. Use the scraper to lift cardstock from the mat. Using the scraper makes it so the cardstock doesn’t stick or curl up. Back in the design space make the text on the inside of the card visible and hide the front of the card as well as the score line. 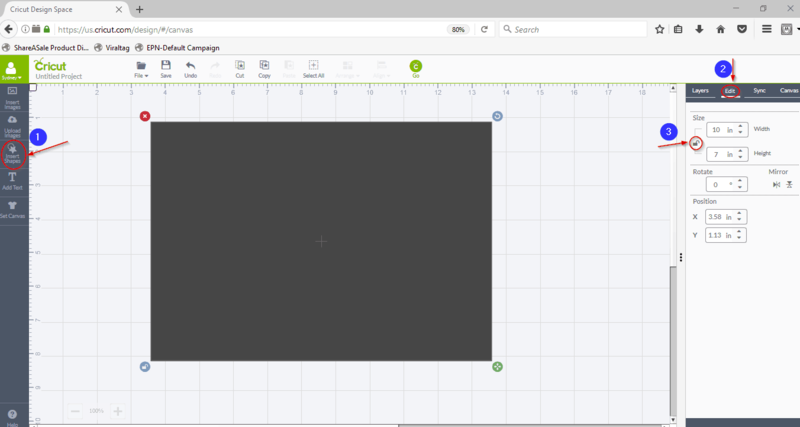 In the EDIT menu make the text mirrored both vertically and horizontally. 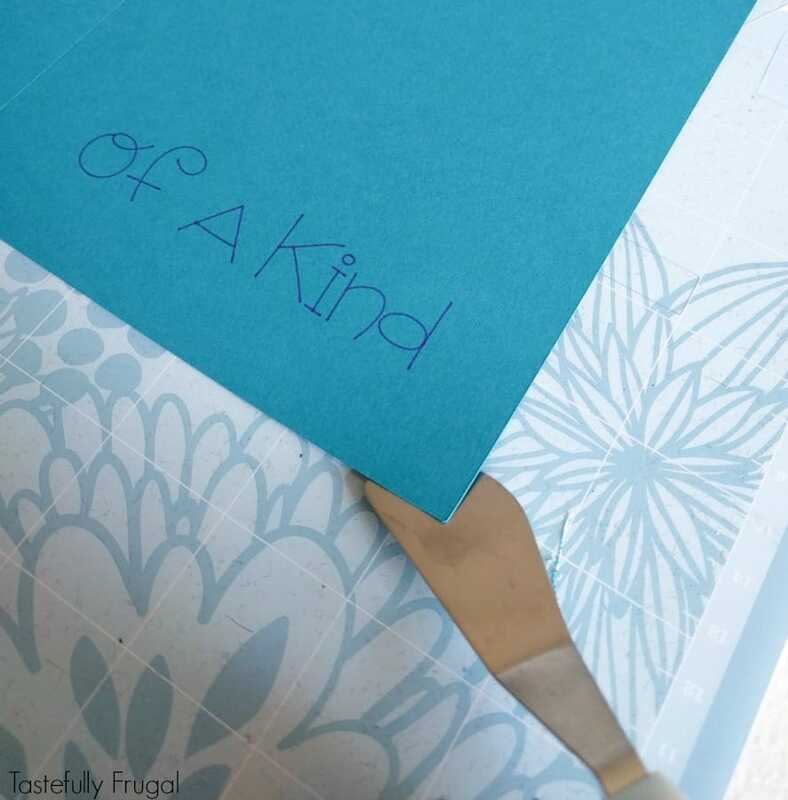 To have it write on the correct side we have to put the cardstock in backwards and upside down so this insures that you can actually read whats on the inside of the card. 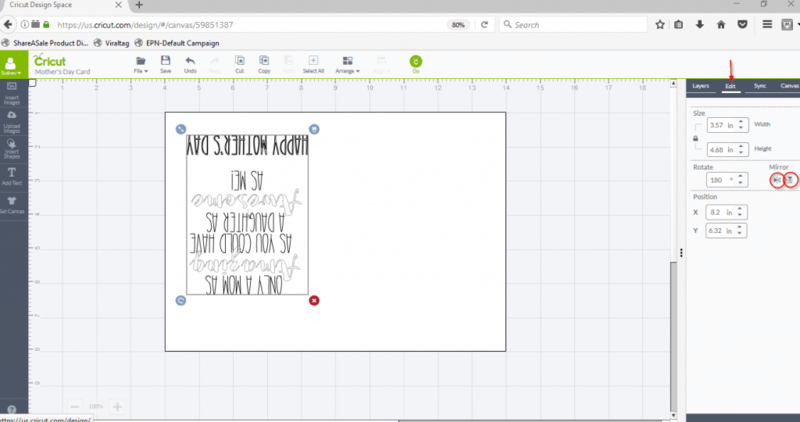 Send design to be written. Back in design space we are going to cut our unicorn. 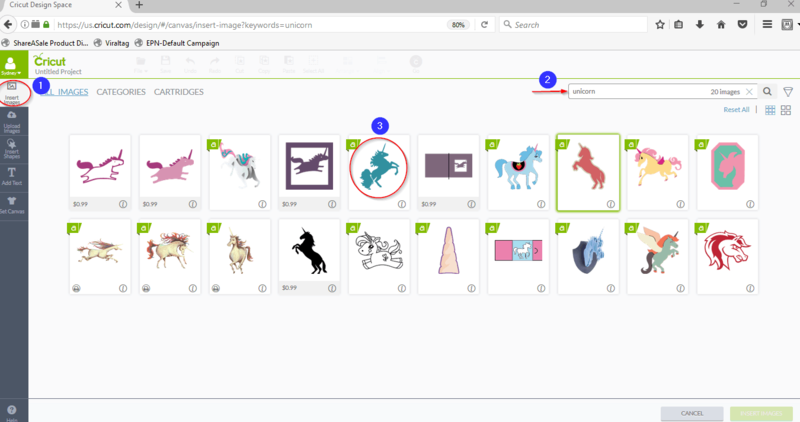 Make the unicorn visible and everything else invisible. 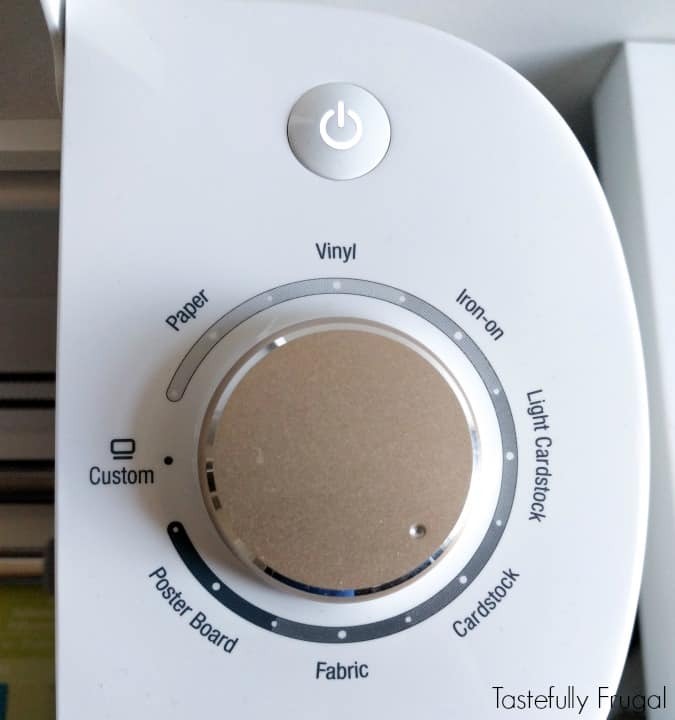 Change your dial on your machine to vinyl and send design to be cut. 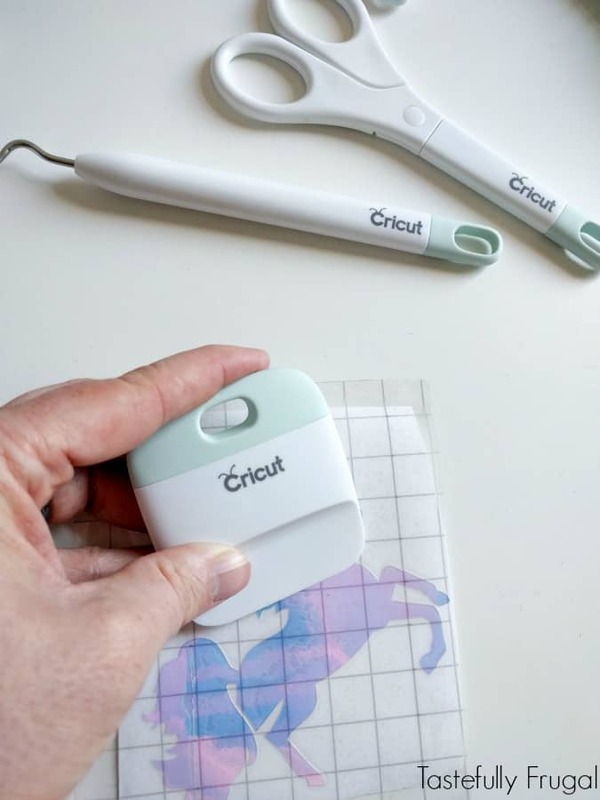 After your unicorn is cut with the Cricut, use scissors and cut around the unicorn so you don’t waste vinyl. Use weeding tool weed (or remove) vinyl from around the unicorn. Using the scraper tool attach transfer tape to unicorn. Start in the middle and push up with firm pressure. Then start in the middle again and push down. Attach unicorn to front of card and press lightly with fingers to attach. Don’t press too hard or you’ll remove some of the cardstock with the transfer tape. 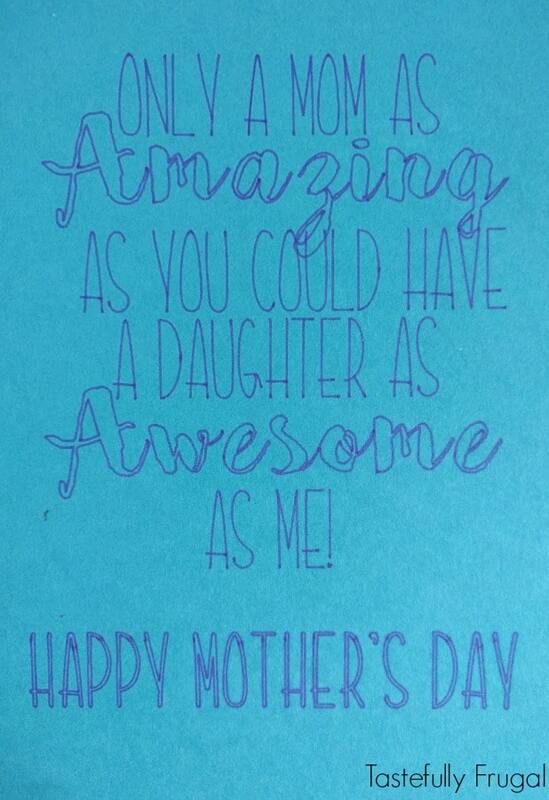 And there you have it; a one of a kind card for a one of a kind mom! What are you doing for your mom for Mother’s Day? Head over to the Design Space now where there are over 40 Mother’s Day Cards Designs that are ready to be made! Need to order some supplies to make cards yourself? Use code SPRINGSHIP to get free shipping!